Mukesh Vaniya photo. Source: indianexpress.com. This is the letter endorsed by members of the Alliance of Indian Waste-pickers condemning the killing of Mukesh Vaniya, a waste picker in Rajkot Rajkot, Gujarat (India). 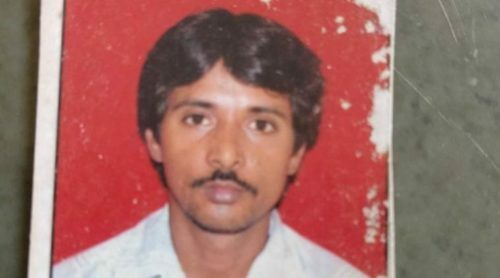 According to a news-report in The Indian Express (Dated 22nd May 2018), Mukesh Vaniya, a waste-picker in Rajkot was beaten to death by unidentified persons of a factory at Shapar village in Rajkot. The incident took place on 20th May 2018, in the morning. Mukesh Vaniya along with his wife Jaya and acquaintance Savita were picking up waste near the factory. The women folks were beaten and sent away, whereas Mukesh was held captive and beaten to death. We the members of the Alliance of Indian Waste-pickers condemn the brutal killing of Mukesh Vaniya and demand for immediate action to be taken against those responsible for the killing. We request for speedy justice and an adequate compensation and safety for the family members of Mukesh Vaniya. The family should also be provided access to other social and economic protection measure. Through this letter, we would like to bring this to your note that waste-pickers play an important role in solid waste management. Waste-pickers pick up waste from the streets. They convert the discards in useful material for manufacturing. Thereby keep our cities clean. The vitality of their work has been acknowledged in Swachh Bharat Abhiyaan guidelines and Solid Waste Management Rules 2016. The rules mandate their inclusion and integration. There are many programmes started by different ministries at union and states level for their integration process. With all the discussion about their integration, on ground they are discriminated because of their caste and occupation. They are looked at as thieves and criminals. We demand an end to this discrimination, which a lot of times turn violent. We demand that all social actors including police and state institutions are sensitized about the work done by waste-pickers. They should be provided safe, non-discriminatory and violence free environment to work in.